Having tried out the basic attempts at a running figure with stage one prototypes I realised that I needed to somehow understand how to make a better and more mechanically sophisticated puppet. 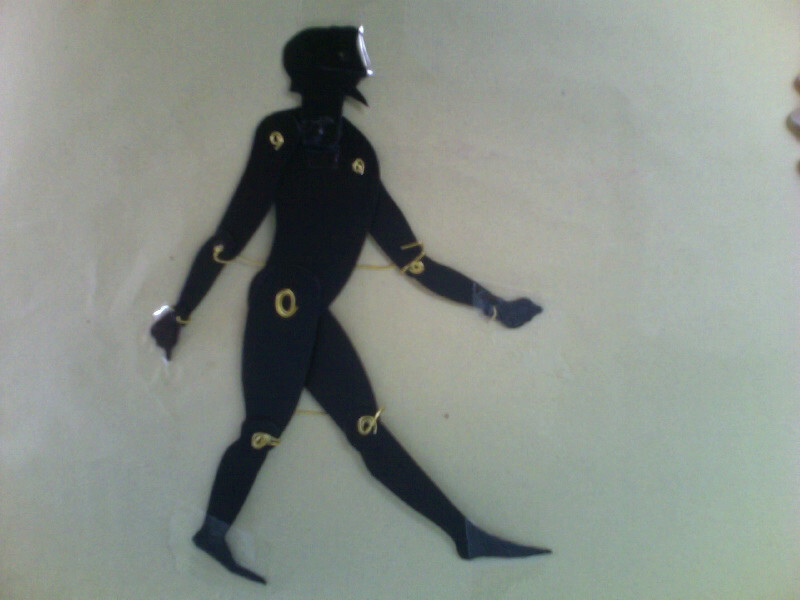 The most important thing was to give the sense of a shadow puppet that looked like it was running. Also the metal supports needed better fixings. I needed to work out how to make the figure look like it was running. I knew the footage did not look convincing but I did not understand why. I looked at the Kate Bush - Eider Falls at Lake Tahoe – Animation to analyse why the movement of the animals and thehuman figures were effective and believable. The human figures generally moved slowly or only had arms that moved. When I looked at other shadow puppet movies none of them had moving legs that ran. Generally the feet were loose. In the Kate Bush music video the animals moved and ran convincingly because they had four legs that worked very simply together. 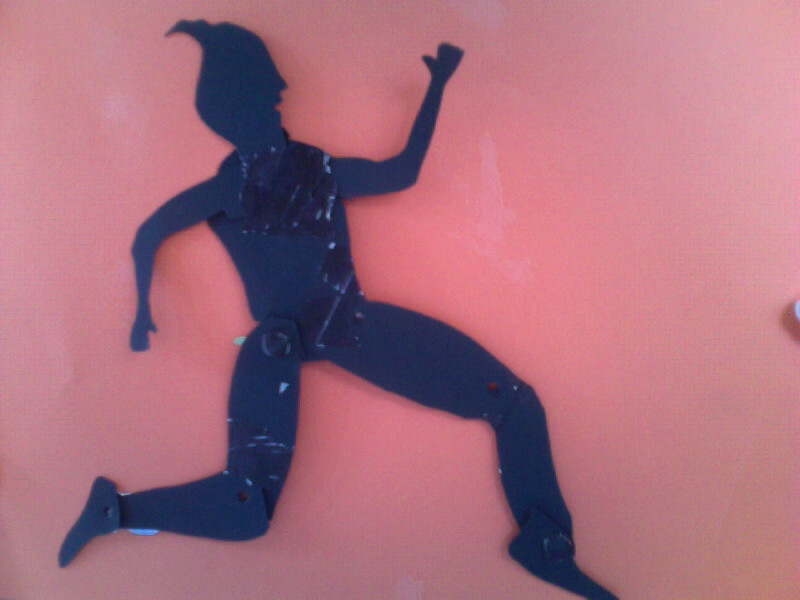 The human running figure is much more complex as the arms and legs work in a more complex way.